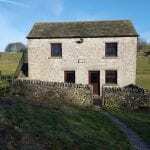 A great value place to escape, in the peak district. he Reckoning House is a place where the workers of the local lead mines used to go and pick their wages up hence the name the Reckoning House. It has now been converted into a camping barn which sleeps 12 people. In a calm and beautiful area , it’s the good place to stay if you want to forget all the rest ! It’s also the good place to do some outdoors activities. If you want more information , click here !